"Humans are disposable… But man and symbiote combined - this is the new race." Whoa!! Sony Pictures has debuted a third official trailer for the Venom movie, following its premiere inside of Hall H at the San Diego Comic-Con. The second teaser trailer was great, but this is even better - and it runs a full 3 minutes. Tom Hardy is journalist Eddie Brock in this anti-hero thriller, directed by Ruben Fleischer (Zombieland, 30 Minutes or Less, Gangster Squad). 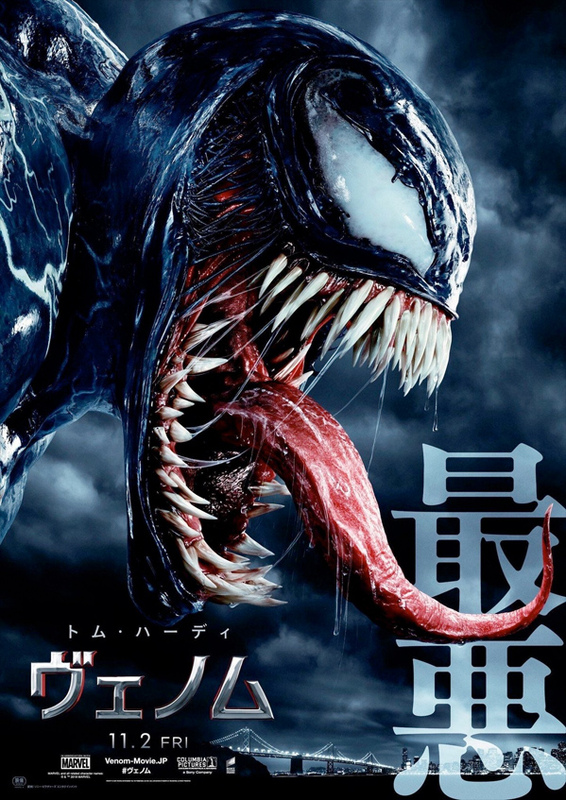 This looks like it might be the movie fans of the dark symbiote have been waiting for. The cast includes Michelle Williams, Jenny Slate, Riz Ahmed, Woody Harrelson, Michelle Lee, Sailor Larocque, Reid Scott, and a rumored appearance by Tom Holland as Spidey. Okay, this finally looks awesome. Really, really into this - the VFX are looking solid, and it looks extra dark. You can still see the first awkward teaser trailers for Fleischer's Venom here, or the second official trailer. One of Marvel's most enigmatic, complex and badass characters comes to the big screen. From Wikipedia: Development on this Venom film, a spin-off from the Spider-Man franchise, first began with producer Avi Arad in 2007. After going through various iterations, an R-rated standalone film was confirmed in March of 2017. The intention was to begin a new shared universe featuring the Marvel characters to which Sony has the film rights, though Sony also intends for the film to share the world of Spider-Man: Homecoming, which is set in the MCU because of a deal between Sony and Marvel Studios. Rosenberg and Pinkner were set to write, with Fleischer and Hardy brought on-board in May 2017. Filming began in October, in Atlanta and New York. 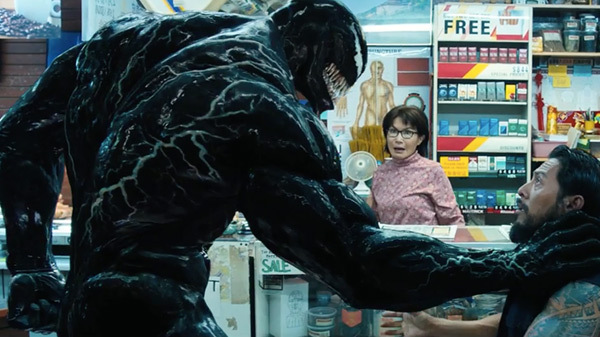 Venom is directed by American filmmaker Ruben Fleischer, of Zombieland, 30 Minutes or Less, and Gangster Squad previously. The screenplay is written by Scott Rosenberg, Jeff Pinkner, and Kelly Marcel. Sony releases Venom in theaters everywhere starting on October 5th this fall. How does that look?